Apple says USB power adapters for older iPhone models sold in 37 countries pose a risk of overheating. Apple has issued a recall notice in 37 countries for European iPhone chargers that were overheating. "Apple has determined that, in rare cases, the Apple 5W European USB power adapter may overheat and pose a safety risk," stated Apple on the company's website. "We have voluntarily decided to exchange every affected power adapter for a new, redesigned adapter, free of charge." 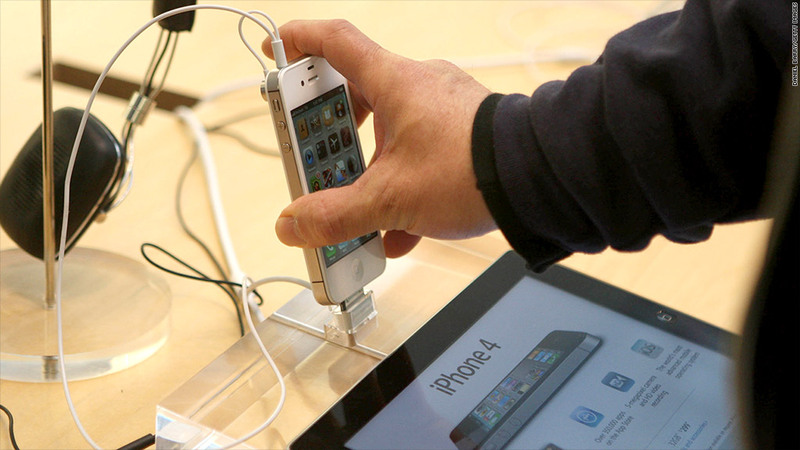 The adapters were sold with iPhone 3GS, iPhone 4 and iPhone 4S models between October 2009 to September 2012. The recall affects countries including France, Germany, Egypt, South Africa and Vietnam. The United States and United Kingdom are not affected by the recall. Shares in Apple (AAPL) were declining by about 1% Friday morning. Apple has told customers that they will be able to see if they need to exchange their adapter if it says "Model A1300" on the base of the plug.